As we near the party season, it is important to have your accessories working for you. As they always say, the magic is in the details, and having the right bits and pieces on hand at the drop of an invite can make a world of difference when it comes to entertaining or being entertained. 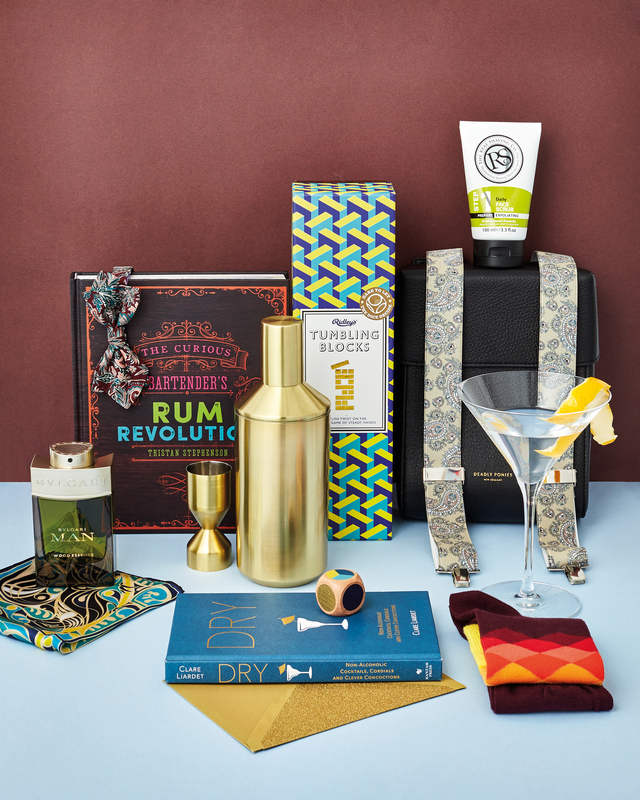 From left to right: Pocket Square $129 by Raw Artistry, Wood Essence EDP, $164 from Bulgari Man, The Curious Bartender’s Rum Revolution by Tristan Stephenson, $39 from Collected, Bowtie $49.90 from Barkers X Liberty, Jigger $29.90 and Cocktail Shaker $99.90 from Citta, Tumbling Blocks Set by Ridley’s House of Novelties, $50 from Smith & Caughey’s, Bag $625 by Deadly Ponies, Suspenders $39.95 by Fellini, Daily Face Scrub $12.99 from The Real Shaving Co. , Martini glass $44.90 (for set of 2) from Citta, Socks by Happy Socks, $25 from Smith & Caughey’s, Dry by Clare Liardet, $30 from Collected.